Impressive Interior Design’s Modern Fireplace Tile Ideas – Design Your Lifestyle. We at “Design Your Lifestyle” take great pride in sharing the best custom design ideas for your bath, kitchen and home – even if they’re from another blog! Such is the case today, as we happily share with you a great piece from Impressive Interior Design. Andreea and the team at Impressive Interior Design run an expert, informative blog presented beautifully in a clean, minimalist package. A site that incorporates clean design based on plenty of open space, smart use of neutrals and whites, and eye-popping floral accent colors? We’d say that as “stylish for 2017” as you can get! The article that caught our eye was “Modern Fireplace Tile Ideas“, a great feature piece that covers trendy, aesthetically-pleasing fireplace tile options. The Impressive Interior Design team leaves no stone (or pebble) unturned, featuring a wide variety of tile options for your fireplace that covers virtually any overall home design. 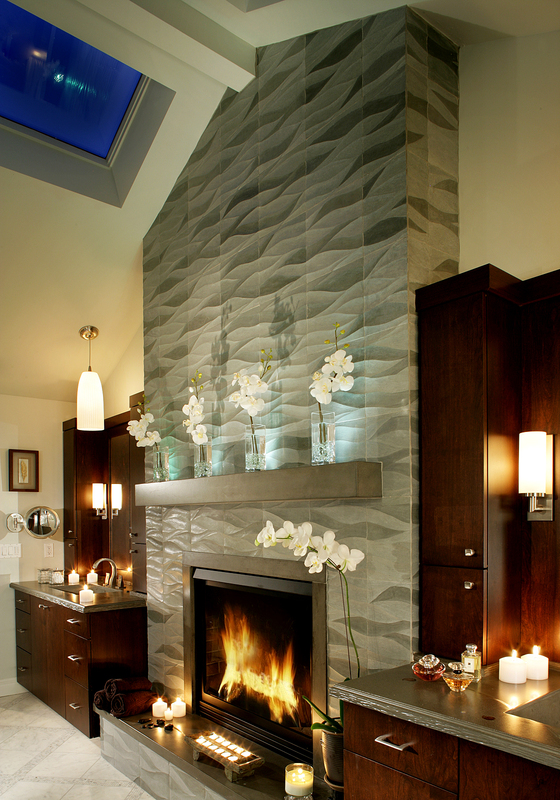 A beautiful modern fireplace tile design by Peter Salerno Inc., featured by Impressive Interior Designs. The article breaks down modern fireplace tile design ideas into two categories: “style” and “substance”, for lack of an easier breakdown. Another angle of the stunning modern fireplace tile design from Peter Salerno Inc. In terms of style, Andreea and her team recommend such trends as patterned tile layout, faux aging of materials and the use of neutrals as core colors. We also love the bold, “throwback” choice of a herringbone tile pattern. When it comes to substance, we’re dealing with what your fireplace tile is actually made of. From glass to ceramic, pebble to terra cotta, marble to granite, Impressive Interior Designs gives you a variety of options from which to choose – and we like that. An expert designer thrives in creative versatility, and the myriad of options given in this article speaks to its artistic vision and spirit. 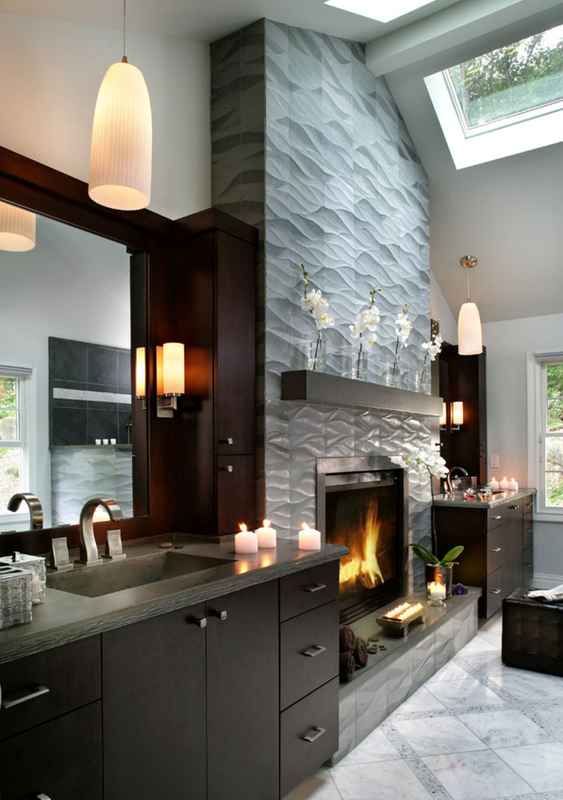 For the full article on Modern Fireplace Tile Ideas, check out Impressive Interior Designs!